Resource Extraction In Western Canada – Should We Should Say No To Enbridge? | Above and Beyond…..
Resource Extraction In Western Canada – Should We Should Say No To Enbridge? Placer mining, in this case for Yukon gold, destroys river valleys and in this cold northern climate, recovery is slow. British Columbia has been my home for 15 years and I have been privileged to see more of it than most Canadians ever will. I have flown, driven and sailed Western Canada but still have barely scratched the surface. Before I left the United Kingdom in 1996, I got to know parts of my homeland particularly well, having co-authored four regional guidebooks. 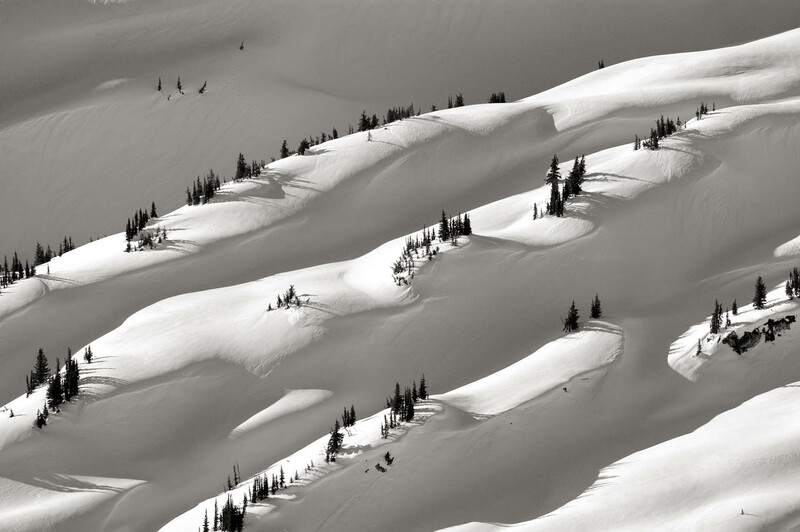 It just isn’t possible to have this intimate level of contact with the Canadian landscape – it’s just too vast. I wasn’t born and raised here and I found of the land intimidating, and at times, downright scary. I was more used to the gentleness of the British countryside. What has surprised me is that despite its vastness and sparse population, little of what I have seen of the Canadian landscape remains truly untouched wilderness. Certainly from the aerial perspective, resource extraction and exploration dominates huge areas, even if it isn’t currently active. I recently spent summers working in the Yukon flying surveys and fire patrol as well as transporting miners in and out of Klondike gold mines. The land south of the Klondike is riddled with evidence of active mining, predominantly for precious metals. Many river bottoms have been turned over in the frantic search for gold, and machinery abandoned one hundred years ago can often be found rotting and rusting in the bush. Even further north, seismic lines criss-cross vast areas, indicating an interest in the ground below. In the short Arctic growing season, these scars are slow to heal. That said, keep in mind that my work generally has taken me to areas that have seen human activity so my perspective is somewhat biased. 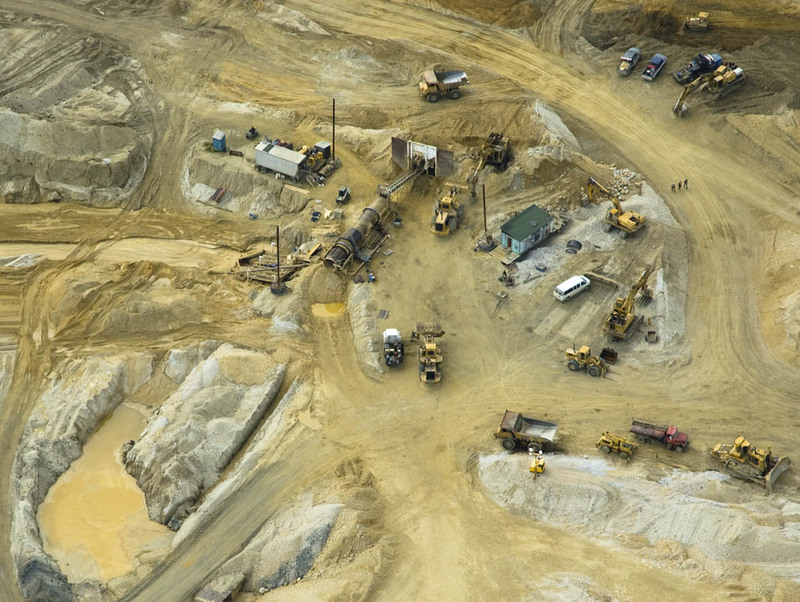 British Columbia is mined as well as extensively logged. Much of this happens in areas remote from habitation and, again, is best seen from the air when trying to appreciate the scale of activity. Statistics are useful and they tell part of the story but there’s nothing like getting close up and forming your own opinion, and I have acquired an appreciation of the scale of operations from snooping around. My photographs are for those unable to see for themselves and gain a sense of the scale. Of course, this is my perspective shot and edited to make a particular point. And that point is, that in 100 years, we have removed huge tracts of forest. We’re gone from handsaws and horses the highly mechanized and sophisticated harvesting techniques – in the same way that farmers on the prairies have gone from scythes and horse-drawn hay wagons to huge combine harvesters. Clear cut areas show up well during winter. 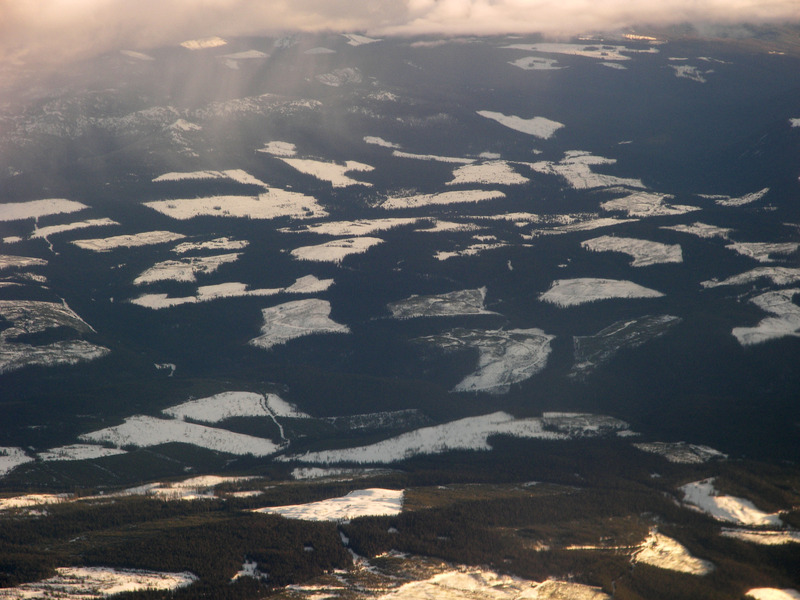 These are east of Kelowna in BC’s Southern Interior. In the last three years I have visited some 20 lumber mills and at least a dozen mines, including Yukon gold mines and BC copper mines. I’ve also seen the oil sands from the air and spent many winter nights in the tar sands capital, Fort McMurray. Please take a look at the piles trees ready for processing of lumber mills – some of them boggle the mind. 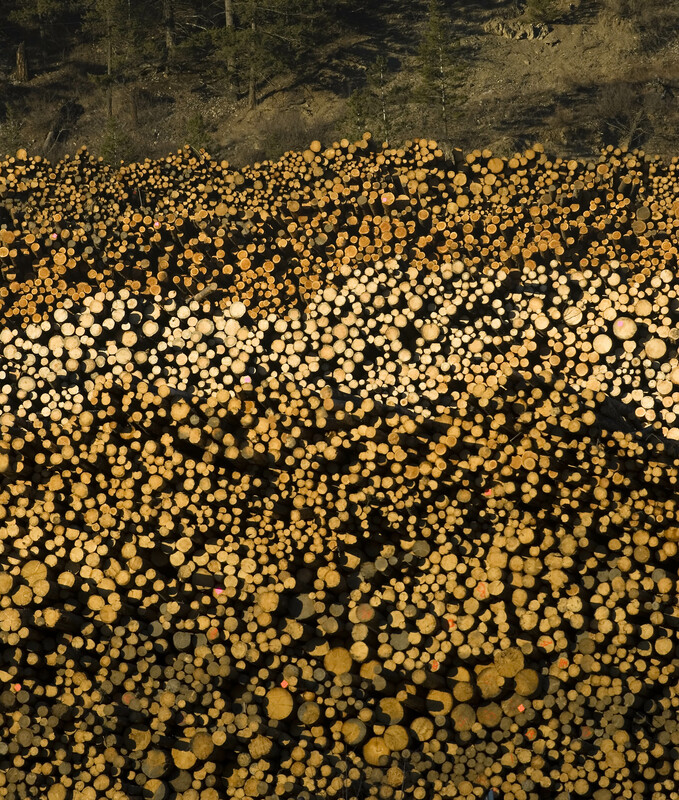 Just one small part of a vast stockpile of lumber awaiting processing at a mill in Williams Lake, BC. You might not be able to fly a small plane over Western Canada but you can do the next best thing. Go to Google Maps and take virtual flight across Canada – or for that matter any part of the planet. It’s a great way get a sense of scale. But that only gives part of the story. The tar sands, for instance, currently occupy a small fraction of the land in Alberta (surprisingly small considering their media coverage), but they are adjacent to the Athabasca River which has the potential to spread pollutants as far as the Arctic Ocean. The effects of logging and mining are like a dripping tap. They are generally involve slow paced environmental degradation and unless it’s in your back yard, most of us tolerate and accept that it’s what’s necessary to make the world go around. Let’s get back to Enbridge as here the stakes are a lot higher and we may not just be dealing with dripping taps. We could in fact be dealing with gushing mains. The company will endeavor to sell us a rosy story of jobs and money flowing into government coffers. I’ve no doubt the oil industry told the same story to the residents of the Gulf of Mexico, or for that matter, the nuclear industry to the Japanese people before they built Fukushima. We will be living with the consequences of these catastrophes for a very long time – thousands of years in the case of Fukushima. I would like to think that champions of the Enbridge pipeline are just ignorant of the potential for catastrophe. In any rate, ignorance is no excuse for gambling with peoples lives and livelihoods, especially when the gamble extends into future generations. Those involved rarely come from the land they are exploiting and as soon as the money dries up will disappear in a heartbeat. Let’s face it, jobs are temporary, and bright minds and willing hands can be better employed creating a sustainable future. Right now, we need oil to function, but it’s days as a primary energy source are coming to an end. By necessity or perhaps choice we will make do with less and we will eventually learn to exploit exciting new energy technologies that are poised to transform our world. This is just my opinion and I’ll be the first to admit that deciding when enough is enough is tough. Ultimately, we are dependent on those very resources to get out there and even take a look at what we are doing. Our planes, boats and cars need those resources in their construction and operation. It’s a subjective decision but I believe when your heart aches over what you see first hand, then let that be your guide. Despite the industrialization of the landscape, we still live in one of the most beautiful and pristine corners of the planet. I hope we choose wisely and keep it that way. See my Resource Industries in Western Canada Gallery. We have some of the most wonderful scenery on the planet, let’s keep it that way. This entry was posted in Enbridge Pipeline, Environmental and tagged BC, British Columbia, Enbridge pipeline, environmental, forests, logging, mining, oil sands, resource extraction, tar sands by David Skelhon. Bookmark the permalink.